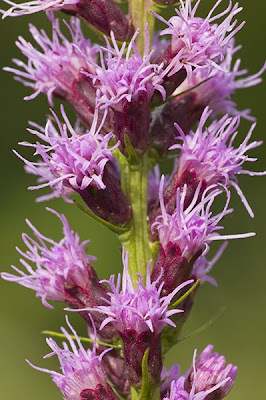 Jennings Environmental Center is the only area in Western Pennsylvania in which Liatris spicata, the Blazing Star, grows. It was the first Pennsylvania reserve to protect an individual plant species. 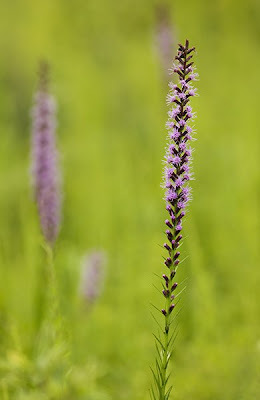 The Blazing Star grows on open prairies, frequently in the midwest, and Jennings is a relic prairie ecosystem, which is quite rare in Pennsylvania. The Blazing Star blooms at the end of July and beginning of August, so you will have to wait until next year to see them! Of interest, Jennings is also home to the endangered massasauga rattlesnake (I have never seen one there myself...so no photos of those).